There is no such Thing as Dental Insurance. What is being called “Dental Insurance” is actually a subsidy that lowers expenses strategically in limited ways. That’s because dental care does not reach the costly levels of medical care and the need for extensive benefits. What do we mean by “Strategically?” Insurance companies could be thought of as giant casinos in office buildings instead of resorts. But unlike Las Vegas, insurance companies would prefer customers never win. They take your bet as premiums, knowing the odds are you will need less than you've paid for. For example, most dental benefits pay a large share of cleaning and x-rays, but a much smaller portion, or nothing at all, for more expensive procedures, such as crowns, bridges, and implants. But, it’s not about your welfare. It's to avoid paying for more expensive problems from not being examined regularly. What does Dental Insurance Subsidize? As little as possible. The goal of the insurance company is to take "in" as much money as possible, and pay "out" as little as possible. To remain viable, all businesses need to be profitable, and insurance companies are no exception. Where they differ, however, is how they view your subsidies. The company incurs “losses” every time you visit the dentist. They limit their “losses” by placing caps on your benefits so they can never lose beyond a predetermined amount. That's why dental benefits haven't improved and are often the same or less than they were over 20 years ago. Insurance Companies Invest Your Premiums. Have you ever noticed the big buildings with insurance names? Insurance companies invest your premiums in real estate and other investments to be more profitable. To increase their investments, benefits can be designed to discourage you from using them, or delay, even restrict treatment to minimize losses and maximize profits. While these methods also keep premiums lower, the real motivation is to maximize their investments. Insurance companies are not in the dental care business. They are in the dental premiums and investment business. The less they invest in you, the more profits they can make elsewhere. How to Manage Your Dental Subsidy. Your insurance company does not tell dentists anything about your benefits policy, changes to your benefits, or if your company has changed companies. Help your dentist by keeping them aware of policy factors. Be sure to bring a benefits summary to your dental office so they can explain its structure. Your OPT-In Dental Advantage Dental Office will do their best to protect you and obtain the benefits promised you. This is important because sometimes, your benefits are designed and/or your claims denied in ways that cloud your options. When that happens, trust your dentist to decipher what it means. But, never allow somebody in a huge "casino" building hundreds of miles away to tell you and your dentist what is best for you, or what you can or can’t have. They don’t know you, they haven’t examined you, and they have no legal, moral, or professional right to diagnose and/or determine your treatment. That is the domain of you and your OPT-In Dental Advantage Dentist. We definitely get what we pay for. Caution #1: You get what you pay for! When you buy dental insurance, you are only buying insurance, not dentistry. The cheaper the policy, the more the restrictions, the less the benefits. Caution #2: Not all dentists are the same! 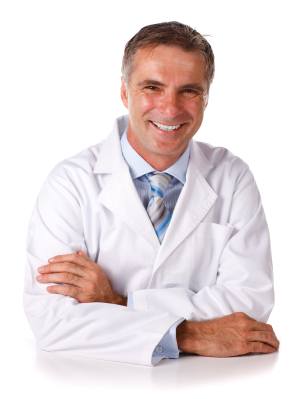 There is no way to know the quality you will receive by choosing a dentist from insurance lists. Instead, dedicate time to finding a dentist you can trust for the care you deserve. Caution #3: Obtain proper care, first, by managing insurance! Getting what you paid for doesn't begin until you've paid for what you want. OPT-In Dental Advantage Dentists can identify the best company and policy type for your needs. Don't be Mislead! What you Really want, is the Best Dental Care possible! Ask Your OPT-In Dental Advantage Dentist if Dental Insurance is right for you. Many patients are surprised to find they don't really need it.